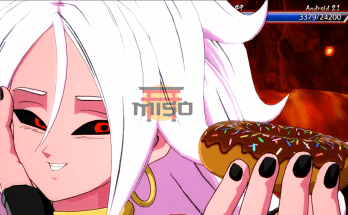 Intermediate Guide to Dragon Ball FighterZ - miso! 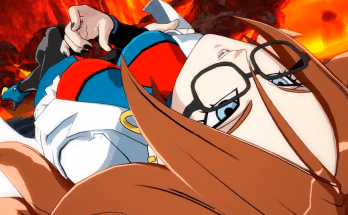 You’ve got a bit of experience in fighting online in Dragon Ball FighterZ be it Ranked or Casual matches, though you feel as if you’ve hit a wall. You’re good, but you feel as though you could be -better- in a sense. Below might be a tip or two that could spice your game up even more. A fairly simple tactic that could actually go a long way. In FighterZ knowing your opponent is truly half the battle. At the start of the match, you hardly ever want to rush in with an attack of your own because nine times out of ten you’re going to be punished for it in some way. Instead, take a step back and see exactly how your opponent intends to come at you. From personal experience, there’s three key moments in which you need to observe how your opponent reacts. Nearly every combo performed will end in either a knockdown or a heavy knockdown. Regular knockdowns are KDs that opponents can recover from immediately, whereas a heavy knockdown is where the opponent slides for a bit before getting up, giving you a chance to get in some extra damage. Depending on which one it is, your opponent may recover differently after you’ve laid into them with a nice combo. Pay close attention.Do they immediately recover and superdash at you, or do they back dash and call in their assists to cover them..? On a heavy knockdown, do they reflect in order to keep the pressure off..? Patience goes a long way in dealing with both of these scenarios, as the former can be punished with a well-timed 2H. Either way, if they show either habit, you’ll eventually pick up on it and be able to take the advantage. In FighterZ being in the corner is almost never a good thing, even moreso when the cornered is being pressured by block strings and assists. Whenever you manage to push your opponent into a corner, you’ll find that each person reacts differently. One person may jump repeatedly so that your pressure will hit nothing but thin air, only to fall back down with a jH (jump heavy).It’ll land, allowing them to begin a combo upon you. Delayed wake-ups may also happen, as your opponent stays down to have you whiff your own combo against them.A third possible option would be your opponent using reflect at the start of your block string, and punishing you with a H (heavy) turning the tides in their favor. No matter which route they choose, take a step back and watch what exactly it is they do so that you’ll know how to counter. 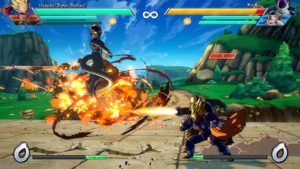 If you read the previous article, then you know just how essential block strings are in FighterZ. While keeping the pressure is important, if your opponent has a way out of your strings, it could prove a problem for you. If your block strings have gaps in it, an opponent will most definitely capitalize upon the opportunity for a reflect chance.A tactic to use would be throwing an overhead in your block string and holding block afterwards to take note of their reaction to the sudden hit. Do they backstep? Reflect? The knowledge will prove essential to how you go about the battle. 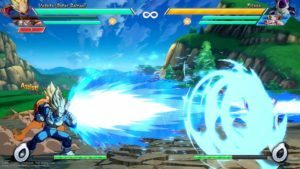 Tien’s assist causes him to show up and fire a dodompa ray which has less block stun than Kamehameha. This means your opponent won’t be guarding it for long, but it functions a bit -differently if they’re actually hit. Should your opponent fail to guard the dodompa, they’ll be briefly knocked into the air. To make sure Tien’s assist hit’s it’s mark, perform an overhead strike on your opponent before calling him in. He’ll knock them in the air, and you can continue on unhindered. 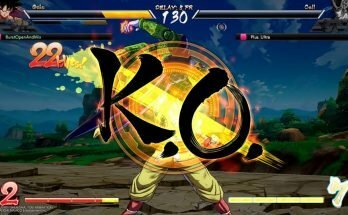 I’m sure by now you’ve heard of the term “Taking your turn” in FighterZ if not other fighting games. No, it doesn’t mean take set turns beating each other to a pulp. Essentially, it means knowing when you’re able to challenge successfully. “Challenging” refers to engaging an opponent after having gone on the defensive, usually a punish. Basically, it means being in a period of time after blocking when you’re unable to act. Usually, if a move that you guard carries minimal block stun, then you’ll be able to react quickly following the attack. This is one of the more difficult parts of the game, as it takes sound judgement and decision making. There truthfully isn’t a way to know the block stun of each attack. (Unless of course you want to read and understand the frame data of each and every move). Experience will allow you to determine what moves carry what block stun ultimately. Want to learn more? Check our previous guide on Dragon Ball FighterZ! Check back soon for more guides.